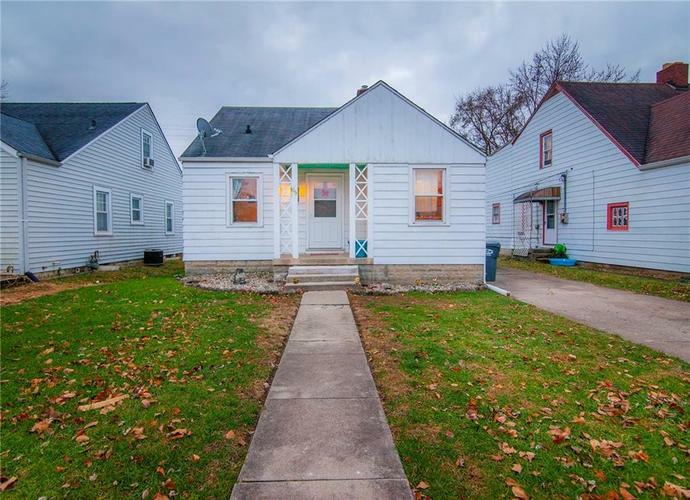 Adorable 3 bdrm bungalow on Anderson's southside! Character and charm abound with hardwood floors in all the rooms. Main lvl includes Liv Rm, 2 bdrms, updated bathroom and Eat in Kitchen. Upstairs bdrm could also be used as a large loft and features a WIC and beautiful knotty pine walls/ceiling. Full unfinished basement offers lots of storage and the W/D (stay). Updates inc newer windows, newer GFA/CA in 2012, full drainage system/sump pump in 2017, newer water heater in 2009 and new vinyl siding on detached 1 car garage. Fully fenced yard and no houses behind! Directions:South on Columbus Avenue to 32nd Street, west to home.